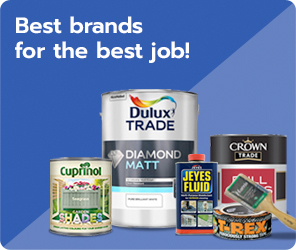 Whatever your DIY decorating need, whether it indoor or outdoor, Winterstoke is your first stop. 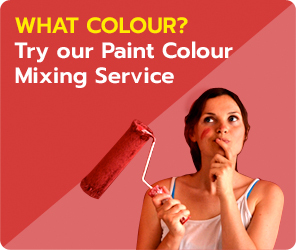 We have four colour mixing machines offering thousands of colour mixes. We are also able to offer an excellent colour matching service, just bring your colour sample in store and our colour matching advisor will match the colour you require. 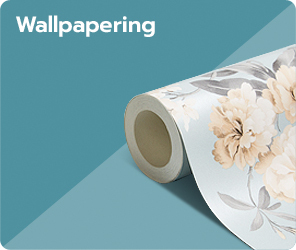 Take a seat in our Wallpaper room, and browse the hundreds of books for the Wallpaper that suits you, many available for next day delivery. With over 35 years experience in the trade, our friendly staff are always on hand to give advice regarding any of our products. Whether your problem is, deciding the correct decorative product for your floors, walls or ceilings, we will find the best product to suit you. If the product you are looking for is not on display, always ask our staff, because our warehouse is as big as the leading DIY chains, the difference is, we do the walking for you.